Follow Ricky Cuaca through his Official App smarturl.it/rickycuaca. Download the free Ricky Cuaca app now! 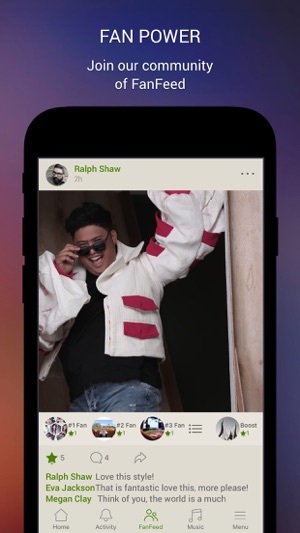 Stay connected to Ricky Cuaca on his official app. 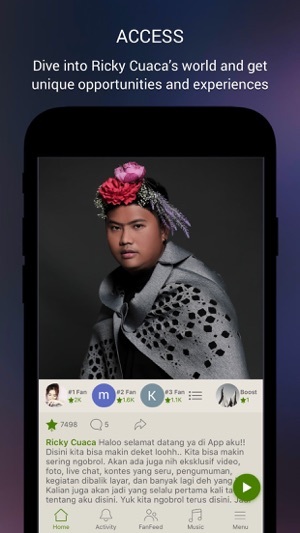 - Boost your comments with Superstars, become a Top 3 Fan, and be seen by Ricky Cuaca. - Follow Ricky Cuaca on social media. Download the Ricky Cuaca app now and #BeSeen! Ricky Cuaca born in Padang ,27 September 1988 ; is an actor and comedian nationality Indonesia. Ricky started his career in the entertainment world since childhood as a singer, he has won many festivals and singing competitions, and has had a mini album as a little singer. In addition to singing, he is also a presenter ,comedian and actor. 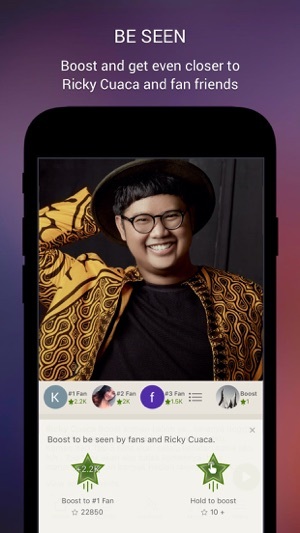 This is the app for his real fans!